You are here: Home / Parenting / Why I’m Drunk On Pride, And Proud Of It. Why I’m Drunk On Pride, And Proud Of It. All children born with Down syndrome are some of the hardest working, determined kids I have ever met, and our son is no exception. If you’ve been following our son’s daily video blog then you no doubt have noticed that we very intentional about helping this little boy become every ounce of who God created Him to be. 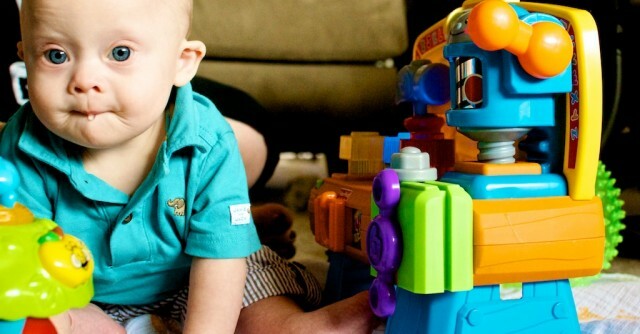 We take him to countless therapy appointments, spend hours looking for the best sensory developmental toys we can buy, and read Down syndrome resources until our eyes feel like they’re going to fall out of our heads….but we have the easy part. It's easy being this boy's parents! This kid seriously works hard. At the time of this post he goes to physical therapy twice a week, and occupational therapy once a week. If if it seems like its all fun and games, it’s not. He has to work so hard just to grow and develop like a typical baby. Things that come easy for most babies, like sitting up, rolling, holding their own bottle, crawling, walking, etc, don’t come easy for him. (or any child born with Down syndrome.) He has to work, and work, and work. Hard. In fact, at almost every one of this physical thearpy appointment he exercises so hard he throws up…but does he cry? Nope. He smiles, and laughs, and keeps going. At only 9 months old this little boy is determined. I think we may have to send him Apple juice anonymous. He likes it way to much! I’ve said this a thousand times, but there are no words (or videos) that can express how proud I am of this little man. If you can get drunk on pride (and I mean pride in a good way) then consider me wasted. Seriously, I feel like my heart is going to explode every day. I ‘m so proud to call Noah my son. I’m so full of love. I’m so full of joy. I’m so thankful. I’m so blessed. I would have never imagined life this side of Heaven being this incredible. In this house we balance all of that hard work with fun. Lots of it. (Ok, I’ll be honest. It’s not exactly balanced. The scales definitely lean towards fun in our home!) We especially like days like today where fun is all that’s on the schedule. Noah’s grandmother and uncle came up to hang out with us for the day, and we had a blast. 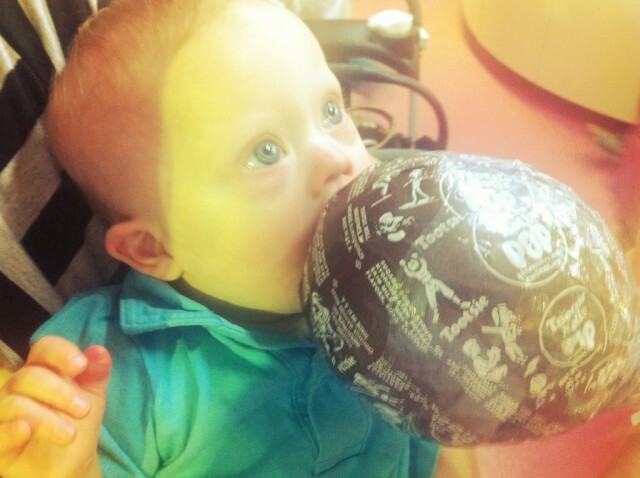 Noah tried to eat the world’s largest tootsie roll pop, and I saw the craziest thing I’ve ever seen at the mall…ever. He's trying to get to the center of this tootsie roll pop. It's gong to be a while. Be sure to check out today’s video to see what it was. I mean really?? Who does that? I want to say thank you from the bottom of my heart for all of your hard work, patience, love, perseverance, determination, loyalty, creativity, honesty, support, encouragement, and friendship. When Noah was born my wife and I had no idea what God had in store for our life (and still don’t, but that’s ok.) Nether of us had any idea how to raise a child (Noah is our first child) let alone a child born with Down syndrome. We were scared, afraid, nervous, worried, and all of the rest. 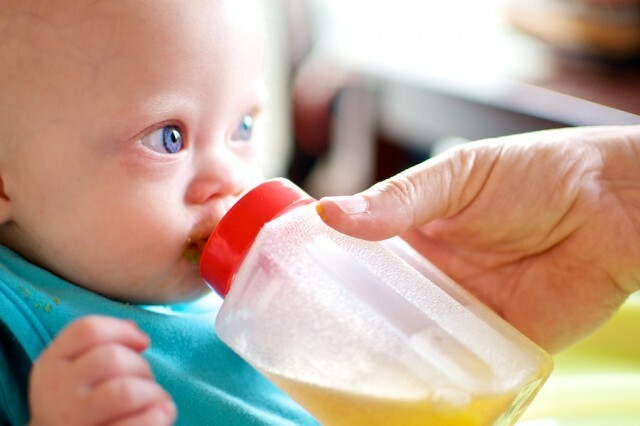 But we quickly found out that it’s ok. Down syndrome is ok. Sure, heart problems, learning challenges, cancer, and the laundry list of potential concerns can at first be very overwhelming…but those things aren’t Down syndrome. Down syndrome is ok! 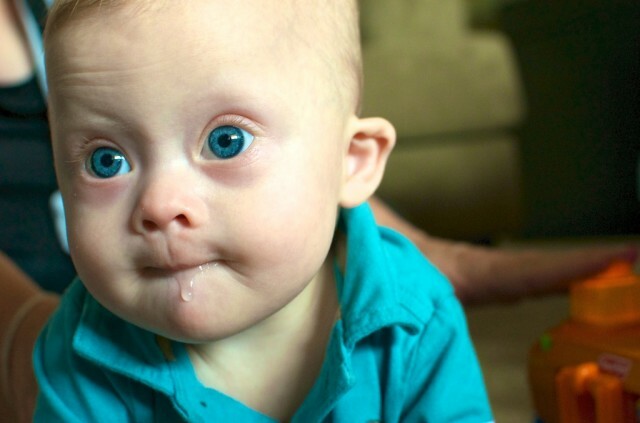 We pray for God to graciously heal issues with our son’s heart…we don’t pray that God ‘heals” Down syndrome. (In fact, I’m not even so sure that’s a prayer that God could answer…but that’s a different post.) These last 11 months have been the most amazing adventure we have ever been on. His life makes our life better. We wouldn’t change one little cell on this little boy. In the process of this website, Facebook, twitter, events and functions, and just living life, we have met so many amazing parents just like you who are raising children born with Down syndrome. They are all of the adjectives I used above. We are thankful beyond words to be on this journey with you all. We receive many messages from people telling us about things they’ve learned from information they read (or saw) on our website, but please know that we also learn from you. We read (and try to respond) to every comment, message, tweet, email, etc…they greatly encourage us, and are much appreciated! I could write from now until next year about all of the amazing things you guys are doing all over the world! All of the time (and money) you are investing to help your child become who God created him/her to be, is amazing. All of the blogging, tweeting, facebooking, event planning, buddy walking, driving, walking, playing, etc. 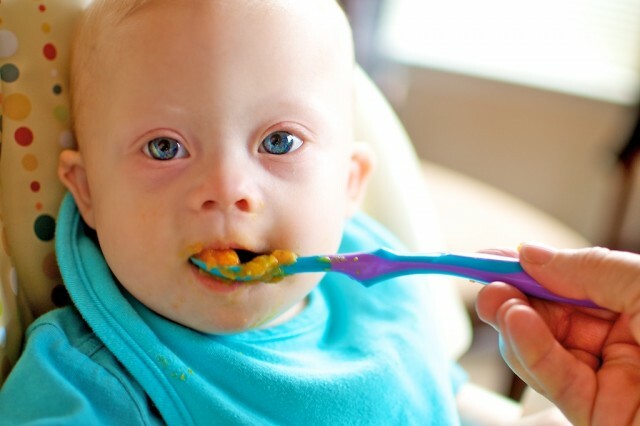 that you are doing to help the world know that Down syndrome is ok is overwhelming. It’s an honor to be on your team. You guys are simply fantastic. We consider it an honor to know you and get to know your story. He likes you guys as much as he likes his dinner! A lot. Thank you again for all you do for your children, and for loving on our son, and all the ways you encourage our family. You are greatly appreciated. Please let us know any way we can help, support, or encourage you! Keep doing what you are doing. You are changing the world! Now if’ll excuse me I must get off the computer, and go play with my son and wife. I’m feeling great! I think it must be this pride hangover. 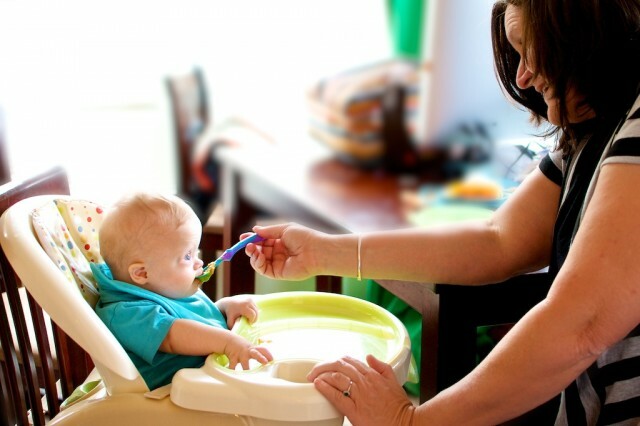 Do you find it hard to balance work and play in your home? What are some of the ways you do this in your home? Oh, and a fun question. Now you saw the craziest thing I’ve ever seen in a mall…I want to know what the craziest thing you’ve ever seen in a mall is…? Thanks for the kinds words, I really appreciate it. Also little Cora is adorable…..! You guys are doing so great! Thanks for all you do! Keep rocking! You are blessed. Your son is beautiful. Thanks for your comment…We totally agree with you on both! Thank you again for such a beautifully written statement about your amazing son. It really reaches into my heart to know and hear from other parents with angels like ours talk about their experiences. My lil man has 7 therapies a week, 2 speech, 2 occupational therapy and 3 physical therapy. Some days he is so tired afterwards that he knocks right out in the car and snores all the way home. Yes I know and believe in my heart that he can do ANYTHING, but it’s hard when friends and family can’t relate because they aren’t a part of what we see. The fight and struggles and endless effort that goes into achieving absolutely every step. There are many days and moments where I quietly break down because I doubt my own strength and ability to do this on my own, but then my Noah will do something so extraordinary and joyous that I am reminded God is right in that room with us. What an indescribable journey we are on. Whatever it is to be that your, or my Noah will face as we travel down our roads, it is the love of these little angels that drives us and makes us whole. Keep sharing! Wow..7 appointments a week…!?!?! You guys win the award for the most appointments in one week. I know your son is benefiting in ways you don’t even realizing. THanks for all of your hard work! Stay close to God in all of this, He really is able to see you through all of this. He loves you guys more than you can ever know. I know what you do is hard, but it’s so worth it! Let us know if there is any way we can help you, or anything specific we can pray about for you! This is one of the nicest blogs I have ever read. It actually brought tears to my eyes. Not to mention that adorable video that had me actually laughing when Noah went in for that giant Tootsie Pop. It warms my heart to hear that others realize just how amazing and life changing (in a good way) these little blessings are. Noah is one lucky little boy to have such great parents. But we all know we’re the real lucky ones to have such incredible children. I know I’m a much better person since the birth of my Ava. I too am drunk with pride! Keep em comin, your blogs are inspiring! Thank you! Thanks for all the hard work you are invest into your children! Having a child with Down IS hard work! The pay is bad, the hours are long, and the rewards are tiny but consistent. BUT like you, I’d never change one cell of our daughter, not even to make her NOT have Down! Ever! She has been our institution of higher learning all her life, and we cannot help but glow with pride at the things she has accomplished. I’d say the rewards are HUGE! I often tell parents that every win is a huge win! It’s so important to parents (and to the children) to really know that the wins are huge (even though at times they may feel like they aren’t….) You guys are rocking it! Also, we haven’t found that having a child with Down syndrome to be a lonely road at all. I think it’s like anything, you have to choose to be plugged in to a community of people. We aren’t meant to live life alone…special needs child, or no special needs child. We are meant to live in the context of community! That’s one of this lives greatest gifts…..community. Thankfully we’ve got a great group of friends. It saddens me when I hear stories of people who feel like they are in this (or anything else in life) alone. They aren’t. Thanks for all of your encouragement. You guys are doing great, and I appreciate you! You’re son is beautiful. You’re blessed to have him. He’s your gift from God.